The good news just keeps on rolling in from our good friends at Valve. As a console gamer, one of the things I envy PC gamers is the mods they get to play with. Well, Valve has a nice surprise in store for us because Portal 2 will, according to Chet Faliszek, have user levels available to play on all platforms. However, the actual tools to create the mods will be exclusive to the PC, which makes perfect sense. Personally, this is pretty exciting news and hopefully the first step in a new gaming paradigm, where PC, 360 and PS3 gamers all can benefit from the creativity of their fellow gamers. I’m amazed by what I see people do on something like LittleBigPlanet and the chance to have some insane puzzles in Portal 2 from the addled minds of the masses makes me tingle in all the right spots. What say you? Are you glad that Valve is pushing the industry in this direction? Would you want to see the mod tools brought over to the consoles in the future? Comments, plz! Oh, Chet Faliszek, Mr. “PS3 is teh sux”. How your tune has changed. 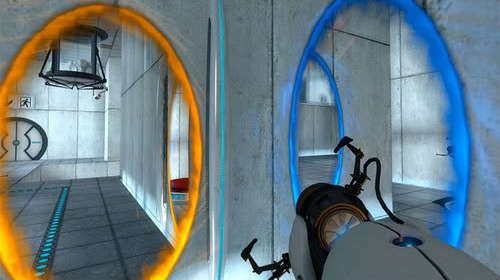 I’m looking forward to Portal 2 with even greater fervor now. User created content is a big thing nowadays, and I’m looking forward to playing several brain-busting levels for hours before I figure out that the stupid jerk who made it didn’t build an ending into it. This is excellent. This is great honestly. Talk about a move to increase your play time in the game and add to its replay value. Yes, I think that this is a move the industry should follow. Imagine if you could have all the mods that PC Gamers can have on games like Oblivion or the new Skyrim. Imagine if levels could be there for everyone on all platforms, not just on systems like Bungie’s for games like Reach. It would be amazing. I think it would honestly be beneficial to companies and to players. If games on the PS3 and xBox could port user created content just like PCs can (even if they must be created on a PC) then the game would start to change. It would also allow for people to use up more of their HDD space on consoles. Id love to see more of this in other games. *head unasplode* If developers and publishers could get behind the whole idea of UGC then surely that would mean people would hold onto their games rather than trade them in? This is great news! Portal is simple enough (very few elements in the game) that it would be pretty easy to make a Tony Hawks 3 “build your own level” for consoles, but it makes sense that it’s only available for PC users. I’ve played many custom maps and even entire custom games for Portal, can’t wait to see what people do with Portal 2! !